I am happy and very grateful to announce that the Gerda Henkel Foundation awarded me a post-doc research grant of twelve months, starting in October of this year. In relieving me of my teaching and administrative responsibilities in Freiburg, this will enable me to bring the writing process of my second book project (Habilitation) decisively forward. 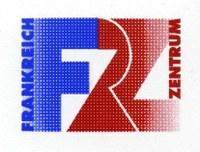 Since the general meeting of January 24th, I am officially an associated member of the Center for French Studies (Frankreichzentrum) of Freiburg University.